Donald Trump is coming to Britain on Friday 13 July. Actions will be happening across the country as part of the Carnival of Resistance. 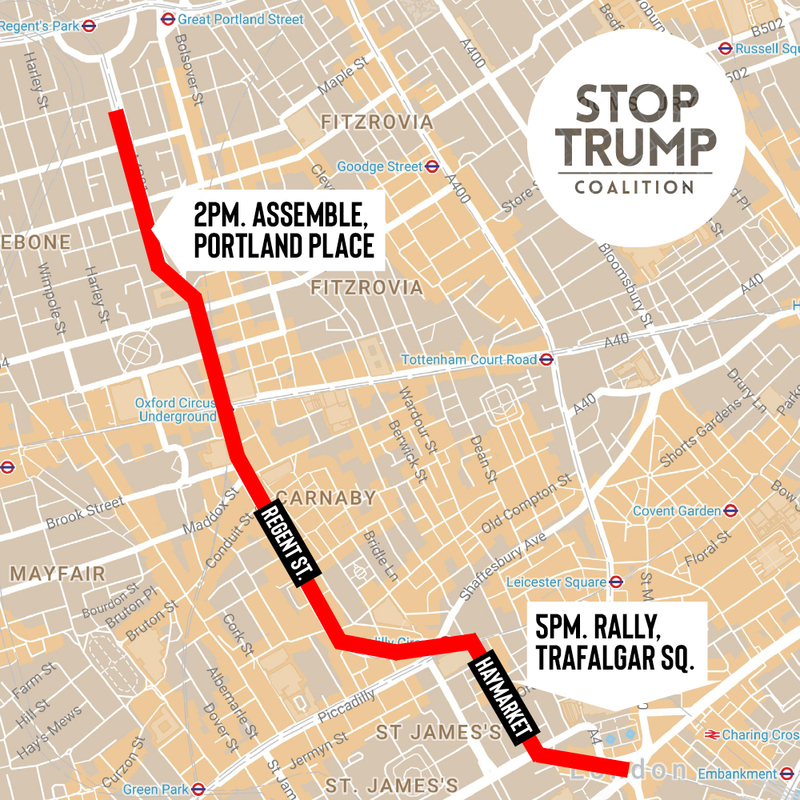 In London there’s a mass Together Against Trump protest. Find a coach to the protest here. Sign up to get updated info by email. Travel note: To avoid the crowds, use Regent’s Park or Great Portland Street Station. Also, the Piccadilly Line will not be running because of strike action.